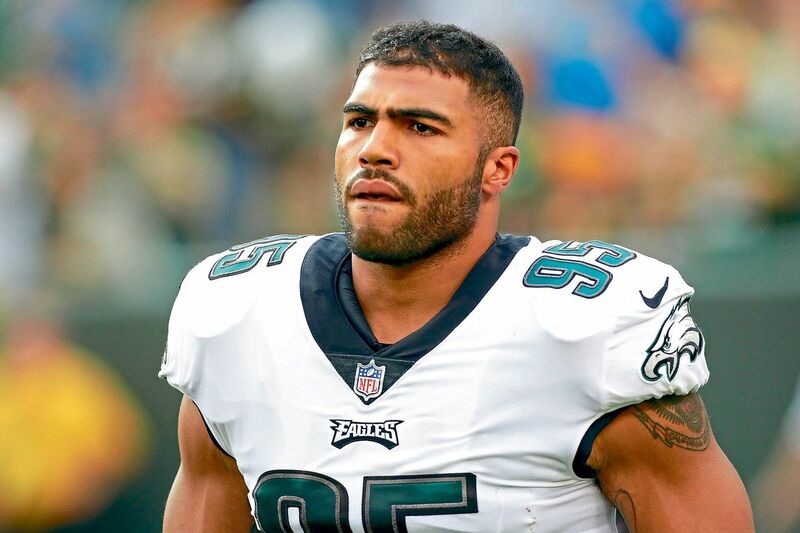 Mychal Kendricks has developed his skills as a footballer not only within the field, he has taken measures on working on his mind in order to be fit for the game. He recently started taking meditation lessons in order to help improve his state of mind for his games. Having played for the California Golden Bears, he went pro after he was selected by the Philadelphia Eagles in the Second round of the 2012 NFL Draft. With the team, he set some impressive records and even led the team to win the Super Bowl LII competition. He moved on to play for the Cleveland Browns in 2018 but was laid off after he was accused of insider trading. Not long after that, he joined the Seattle Seahawks and played with them for a while before the team suspended him indefinitely for the same reasons. Mychal had a rough childhood while growing up, he was involved in a few illegal acts. He was even stabbed by an unknown gangster while he was a teen and till date, bears the scar from that event. He was born on September 28, 1990, in Fresno, California. In his words, his interest in football started from when he was a toddler, he even has a picture to prove his claims, however, he didn’t play the game until he grew to be a teen. He first attended Bullard Talent, the school had no football team but had a soccer team. So, young Mychal who loved sports decided to give soccer a try. He played the game for a while and also partook in other art groups the school offered. After a few years at Bullard Talent school, Mychal moved over to Hoover High School where he was coached by his older half-brother, Chad. from here onwards, Mychal Kendricks’ dreams began to unfold as an American footballer. He made his stay at Hover High School worthwhile and when it was time for college he decided to join the California Golden Bears (the University Of California Football Team). With the Golden Bears, he played in 29 games and recorded 259 tackles, 13.5 sacks, 4 interceptions, and a touchdown. During his senior days, he recorded 106 tackles, 3 sacks, and 2 interceptions, which earned him the Pac-12 Defensive Player of the Year. Having played for three different teams in the National Football League (NFL), Mychal Kendricks’s salary varied from one signed deal to another. With the Eagles, he inked a four year deal with and pocketed a whopping sum of $4.44 million with a signing bonus of $1.67 million and $2.60 million guaranteed. He kept his contract details with the Cleveland Browns a secret and went ahead to sign a 1 year, $790,000 contract with the Seattle Seahawks after he was laid off by the Browns. With the Hawks, he was placed on an annual salary of $790,000 but would forfeit $371,765 as a result of his suspension. Mychal Kendricks is a lady’s man. He has a gorgeous look and is, of course, an eligible bachelor. He is yet to tie matrimonial the knot with any lady but has been linked to a few of them. The American footballer was first linked to Rayne Connell; a singer. The two appeared in one of her dance videos she posted on Instagram. That act alone threw a lot of speculations in the air with a few of his fans asking about his involvement with the singer but not receiving any replies to date. Basically, we could term this as one of the many yet to be confirmed details of Mychal’s personal life. The next lady who has been linked to the footballer is the renowned hip-hop singer; Rihanna. From what we gathered, it all started with a crush they had for each other. But just like the former, there’s been no real confirmation if the two actually ended up doing anything together. However, we are sure it would be revealed soon. The Kendrick family often shares photo evidence of their togetherness on various social media platforms. Anyone who sees them now would never believe there were times the family had nothing to eat; especially in their really humble beginnings. His mother Yvonne Thagon took sole responsibilities of catering for all of her kids including her stepson, Chad after her separation with Marvin Kendricks, her husband. Yvonne took all kinds of jobs in order to give her kids a better life. Marvin’s drug substance abuse was the major cause of the couple’s split, however, today he has put behind his past and has reconciled with his family. Mychal Kendrick is one of the three biological children born to Yvonne. He is the oldest of the trio and has a younger brother- Eric Kendricks and a younger sister- Danielle. He has an older half-brother named Chad from his father’s previous marriage. Eric, his biological younger brother followed his footsteps and is doing amazingly well as a footballer. He played college football as a linebacker for the University of California Los Angeles football team and went pro in 2015 after he was drafted by the Minnesota Vikings. He has proved his athletic prowess with the Vikings recording a lot more wins than losses and also bagging a lot of accolades.